gstaad - a mountain highlight! Gstaad in the Bernese Oberland attracts a charming mix of visitors: while the chalet village of Gstaad welcomes famous guests, the smaller neighbouring villages offer attractive options for families with children. In recent years, the centre of Gstaad has developed into the most popular and shortest “shopping mile” in Switzerland. With its top hotels, gourmet restaurants, luxury chalets and nearby Saanen airport, the car-free resort of Gstaad is a popular destination for international celebrities. GSTAAD PALACE - Immerse yourself in the more than one hundred year old history of the Gstaad Palace: the luxury hotel in Switzerland opened its doors on 8 December 1913. Successfully: it was decided to build an extension after the first season. In the 1960s gala dinners with international stars such as Louis Armstrong and Marlene Dietrich cause a great sensation. 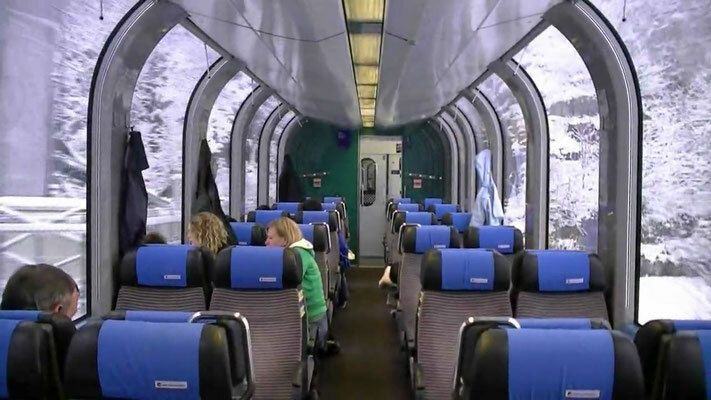 Transfer from Zurich through the lovely Simmental to the famous and exclusive holiday resort of Gstaad (approx. 2.5 hours). Accommodation for 3 nights in the famous 5* Grand Hotel Gstaad Palace. Dinner. After breakfast bus ride to Broc, where we get an insight into the production of finest Swiss chocolate in the chocolate factory Maison Cailler. We continue to the enchanting historic "picture book" village of Gruyères, which has retained its medieval appearance to this day and is picturesquely situated with its castle on a small hill. Guided tour. Visit to the cheese dairy. Return journey to Gstaad. Free time. Dinner at the hotel. Trip with the Golden Pass Panoramic to Montreux on Lake Geneva against the breathtaking backdrop of the snow-capped Alps. Guided city tour. Lunch in the afternoon. 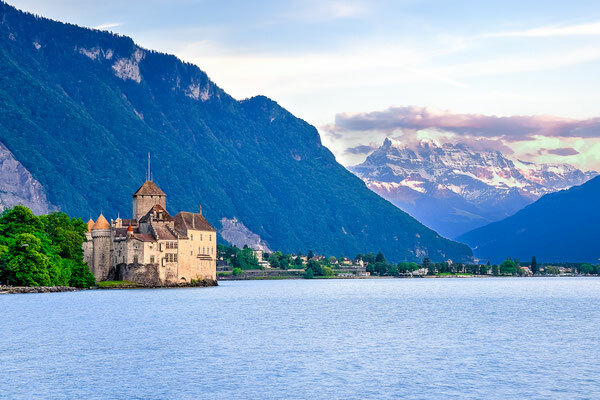 In the afternoon continue to Chillon Castle, situated on a rock on the shores of Lake Geneva and the most visited historic building in Switzerland! During a guided tour we explore the 25 buildings and 3 courtyards with their murals, underground vaults and parade halls. Return journey to Gstaad. Dinner on day 4. After breakfast departure for your next destination. Valid for a group size of 15-20 persons.